On Friday, we went to the Eden Project and learnt to become Rainforest Rangers. We learnt how to chop away the undergrowth so that we could explore. We went into the rainforest biome and discovered many plants that we could use so that we could survive in the rainforest, if we became Rainforest Rangers. We found plants that could purify water, plants that we could eat and plants that could provide us with shelter. It was the most interesting day. On the way home, we sang Yellow Submarine! Mrs Brinkworth came in to visit and show us some amazing scientific investigations. We had to make a lighthouse using spaghetti and marshmallows. We all came up with very different designs. We created the most amazing World Book Day story about Cinderella. BUT, it was written from the ugly sister's point of view. Have a read!! We have been working like professors in maths. We are showing all of our working out. 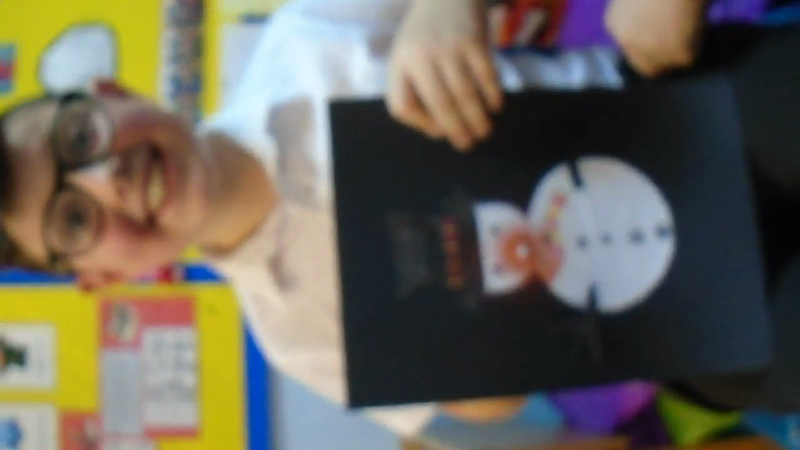 We have been working hard using our learning in science and D.T. 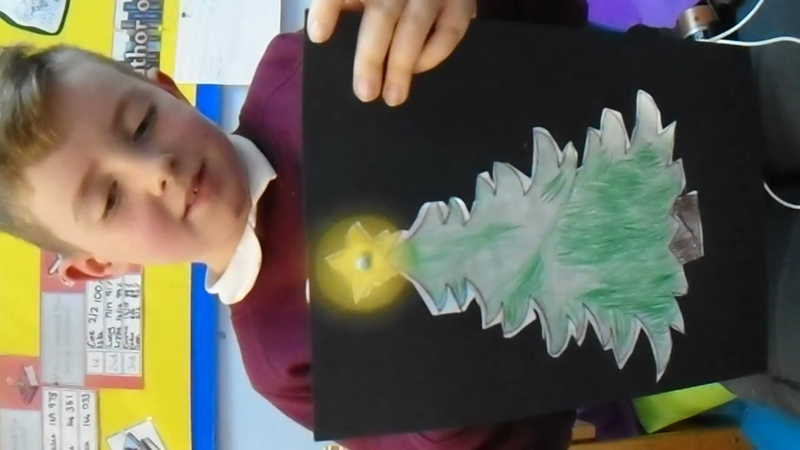 to create a Christmas light photo using our knowledge of electrical circuits. Some of us had lights and some had motors. We had such fun creating them and they all look amazing. New Rock Band in town! WOW! We have a new rock band in town! Congratulations to all the children who have been rocking away on TT Rockstars and have achieved Rock Star, Rock Legend and Rock Hero badges! We have had the most amazing World War 2 experience today. Our visitor, We have learnt so many interesting facts, for example, the government gave children a set of rules that they had to live by such as 'always smile.' Can you remember the others? We had a go at code breaking, like Enigma. We were brilliant at this. After lunch, we learnt about sending messages by semaphore and Morse code. We had to read and decipher a code, then dispatch our pilots with supplies to drop at a certain location - all given in code. Some times we were right and sometimes we dropped the wrong supplies in the wrong location. We could not retrieve the supplies that were dropped in the wrong location! We also had the opportunity to handle some artefacts, some were from the 1940s and some were replicas. What an amazing opportunity for everyone. Well done for dressing up in World War 2 clothing. You all looked fantastic! A big thank you to Mr Smith who visited year 4 today to share artefacts belonging to his grandfather during WW2. "I feel like a real artist!" We have been learning about nonsense poems. We have explored many poems and found out a lot about how to write them. We discovered that they often start with 'There once was an old...'; they always have 5 lines; they are funny; lines 1,2 and 5 rhyme and lines 3 and 4 rhyme and they have a particular number of syllables on each line. Watch this page...we might publish some of our work next week! Well done to all the Cherry children who put themselves forward as candidates for School Parliament. 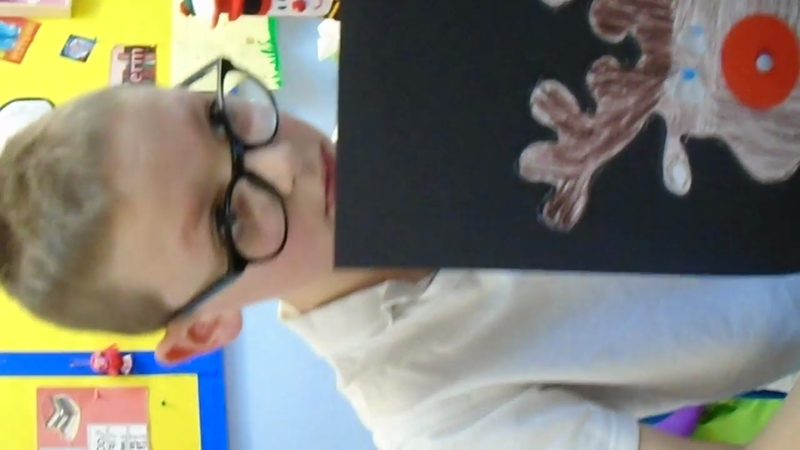 They were very brave and stood at the front of the class to give a speech. They were all brilliant. After a very close vote, Cherry chose Isla and Eddie as this year's representatives. Congratulations! Welcome to the Cherry class page. Here we will be sharing pictures and information so that you can see what we've been learning in school and share our adventures!